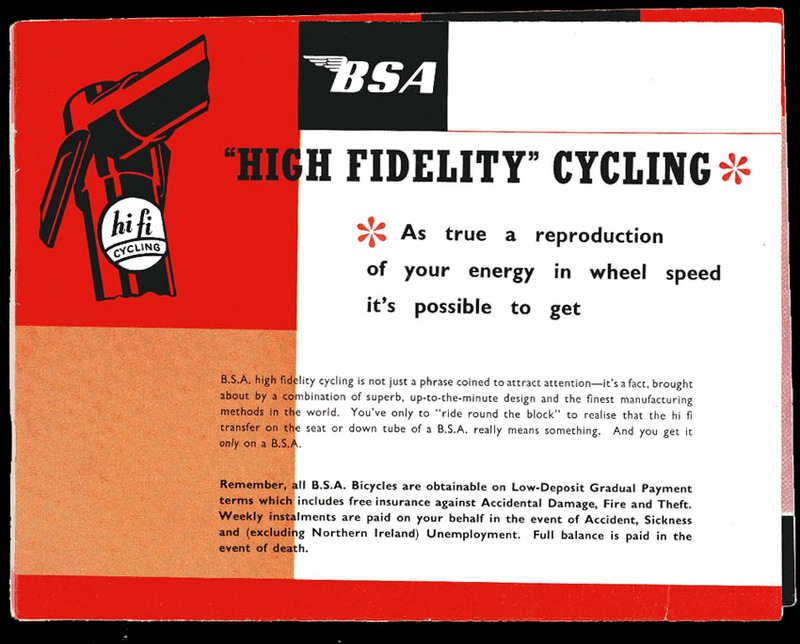 BSA high fidelity cycling is not just a phrase coined to attract attention – it’s a fact, brought about by a combination of superb, up-to-the-minute design and the finest manufacturing methods in the world. 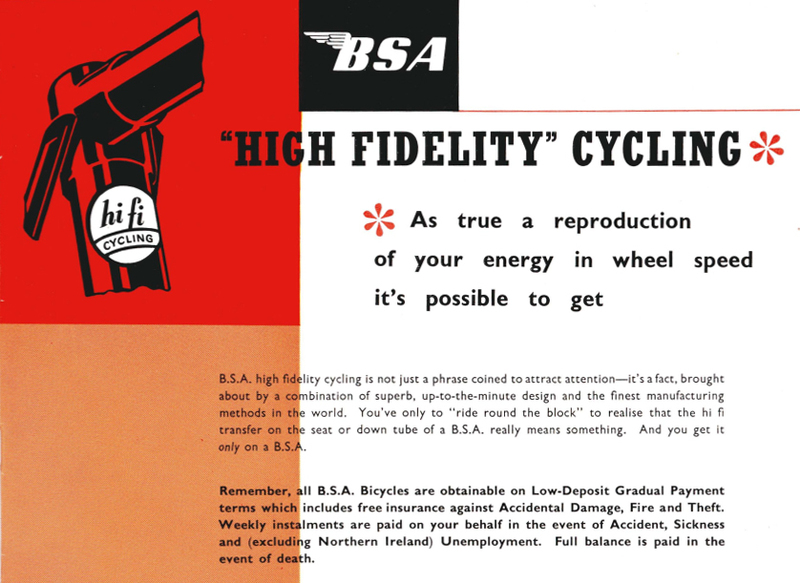 You’ve only to “ride around the block” to realize that the hi fi transfer on the seat or down tube of a BSA really means something. 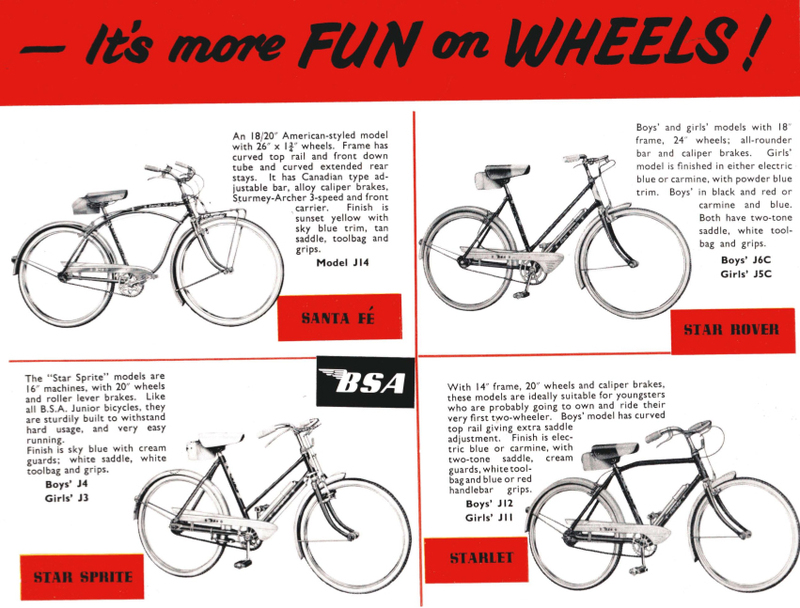 And you get it only on a BSA. 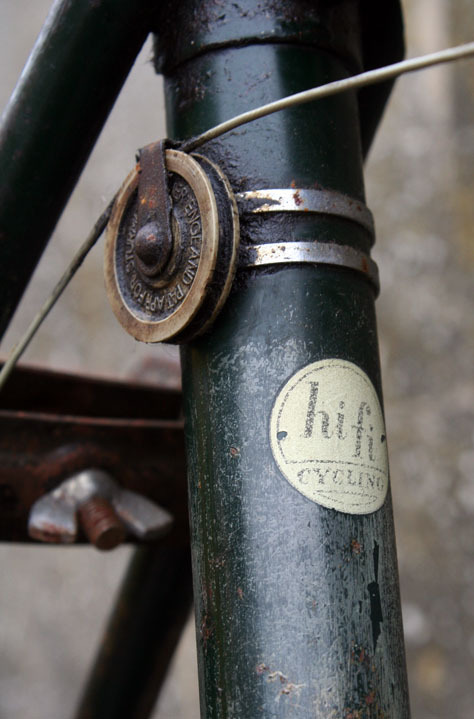 From the late forties until the mid-fifties in Great Britain the bicycle was a primary means of transportation for many people. 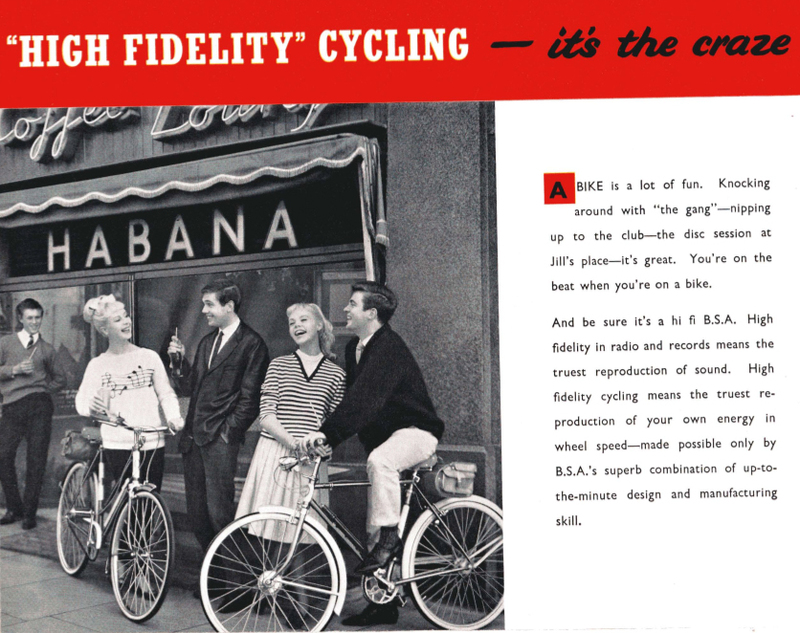 In the USA, however, adolescents often drove cars by their mid-teens and not many adults rode bicycles. 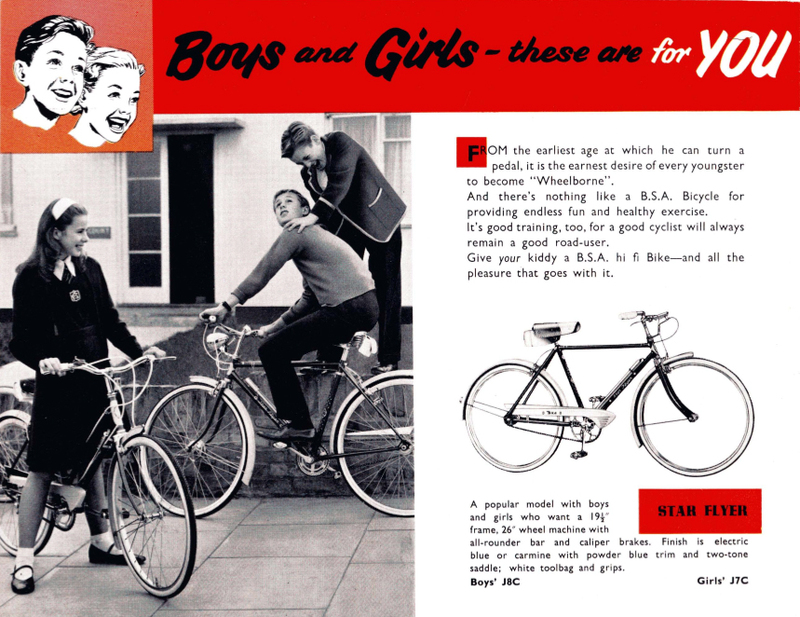 Cycle manufacturers therefore aimed their advertising at a powerful new ‘teen’ market. British manufacturers had been exporting to America since the end of the war to help repay the American loans this country had needed to defeat Germany. So the the American market was familiar. Always looking for a new marketing angle, they would have wanted to create a similar ‘youth market’ here. 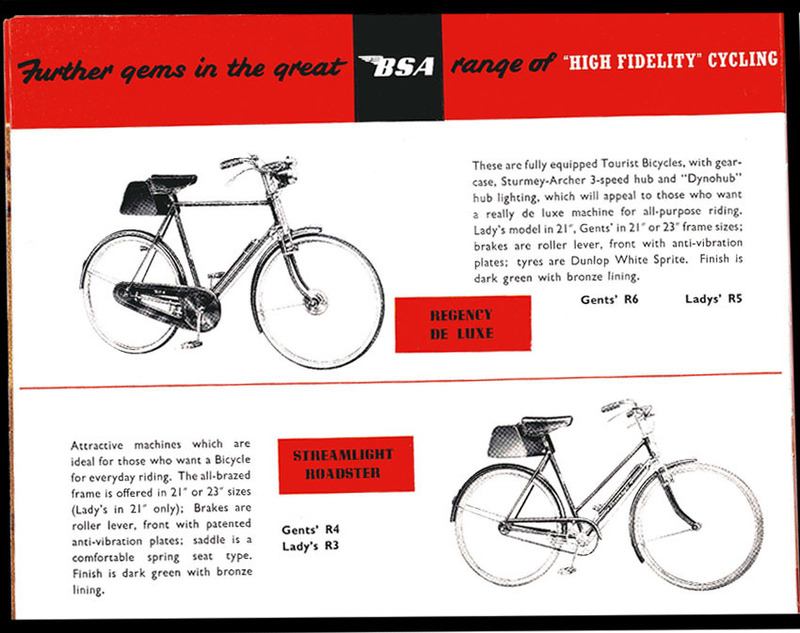 Today I saw my first ‘Hi-Fi’ BSA bicycle. I visited a lovely couple, Chris and Jen, who were selling off their few remaining cyclemotors. 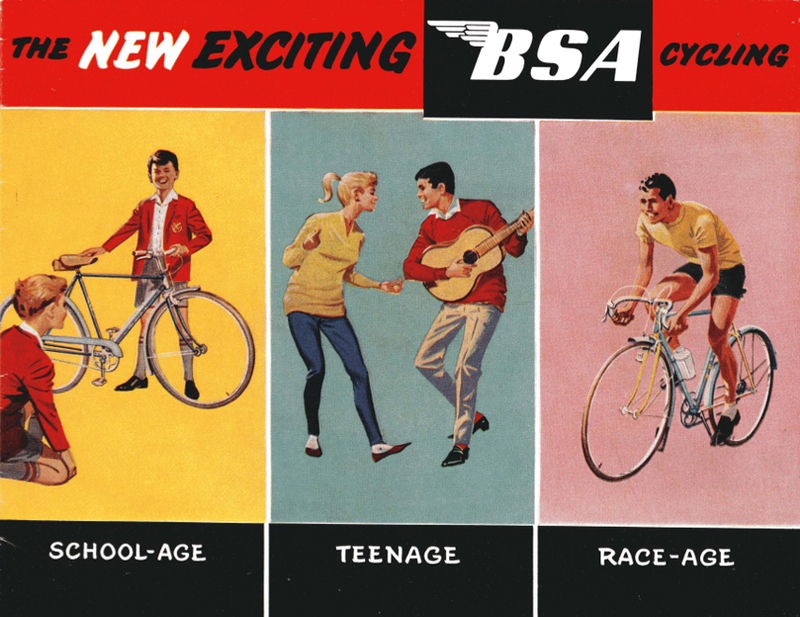 While I inspecting their BSA Winged Wheel (I could not resist buying that too, so you can see it on the next page) I spotted a BSA bicycle hanging up in the garage behind. 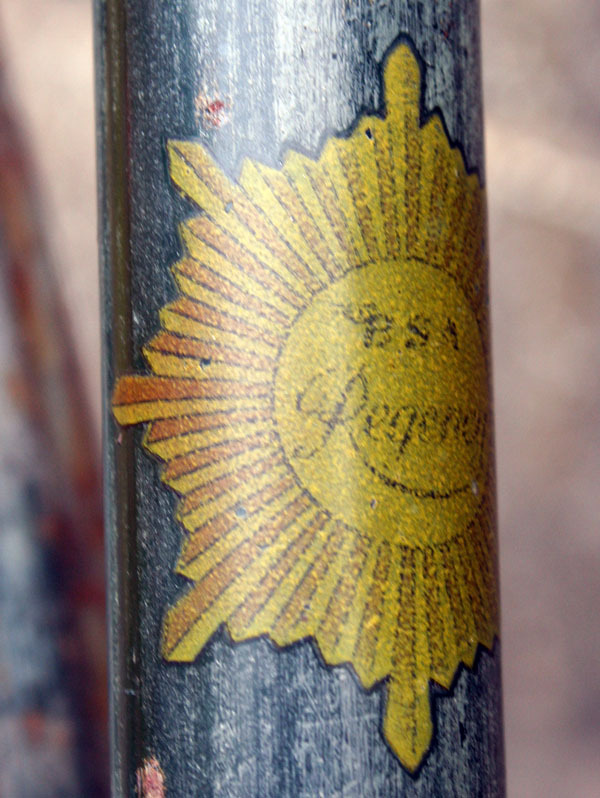 It was a BSA Regency. …and I’m sure you’d understand that (even though I need yet another bicycle like I need a hole in the head) I had to take this little gem home with me too. According to the catalogue below, it’s a Model R6. 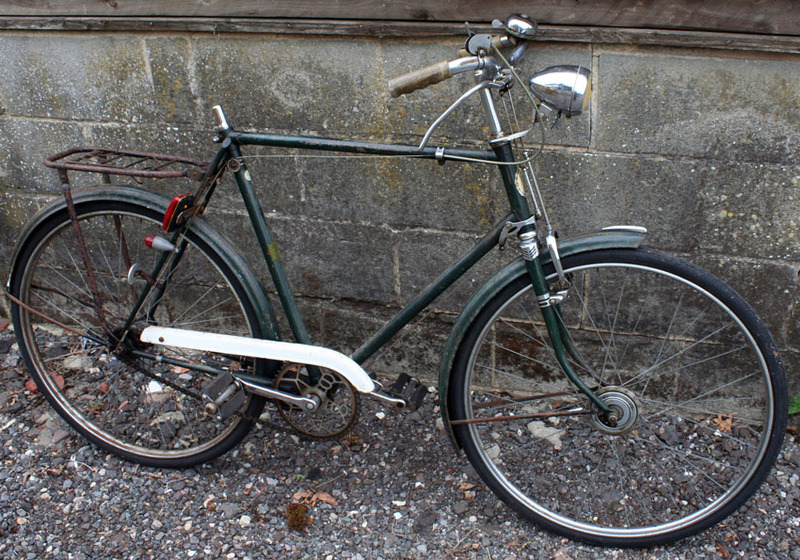 In the coming weeks I’ll install whitewall tyres and a saddle and find a nicer chaincase. The I’ll update these photos.